The stakes for publishers and advertisers are higher with mobile video than preceding formats, because consumers have greater expectations for high quality, relevant experiences. One bad mobile video ad can ruin a consumer’s content experience in seconds. For advertisers, mobile video offers more creative flexibility and, by utilizing touch screens, the opportunity to engage with consumers in a more immersive content environment. Publishers, in turn, benefit from higher CPMs and attractive new inventory to offer buyers. The potential opportunities in mobile video are significant, but hurdles stand in the way of mobile video advertising reaching fruition. Due to the still budding nature of mobile video, major disparities exist in standards including pricing, metrics such as viewability, and what constitutes an actual video ad. Mobile video formats extend beyond pre and post-roll clips on webpages to include in-app ads, auto-play ads within newsfeeds and new formats that might emerge tomorrow. By eliminating manual direct sales and implementing programmatic strategies, publishers can increase the amount of easily measurable pricing trends and viewability metrics, which will strengthen buyer confidence. The number of metrics and formats across channels continues to grow, and there may never be a unified industry standard to account for all existing and emerging solutions. These challenges emphasize the need for publishers and buyers to move away from siloed tools and toward marketing automation platforms. This will result in a more unified view of the consumer and audience for brands, and publishers’ ability to analyze, package and uncover hidden value in their inventory. The value of mobile video advertising is clear for both publishers and brands, but it is still a new commodity for the industry. Before new complexities are introduced, these challenges need to be addressed so that mobile video’s full potential can be realized. 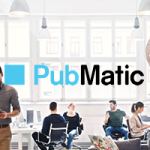 Join PubMatic @ Advertising Week Europe!